Could Your Headache and Neck Pain Be Caused By a TMJ Disorder? Do you often have unexplained head pain and jaw stiffness? You could be suffering from temporomandibular joint disorder (TMJ). Millions of people suffer from the headaches, neck pain, and joint and muscle soreness of TMJ disorder without knowing it. Untreated TMJ disorder can make it difficult to eat or even speak. If you suspect that you may have developed a TMJ disorder, make an appointment with Drs. Brandon and Malinda Kearbey for a TMJ disorder evaluation and treatment plan today. They can determine if your pain and discomfort stem from a TMJ disorder. The Dentists at Orenco Station proudly serve patients of all ages throughout Hillsboro, OR, Forest Grove, Beaverton, Cornelius, Rock Creek, and nearby communities. What are the Signs of TMJ Disorder? Who’s at Risk for Developing TMJ Disorder? No one knows the exact cause of TMJ disorder. However, TMJ disorder does affect twice as many women as men. Trauma to the jaw or jaw joint can sometimes play a role in development of the disorder, but in most cases the cause of the disorder is unknown. However, stressful situations can aggravate the symptoms. The discomfort you experience is caused by the overuse of the jaw joint muscles, especially if you clench or grind your teeth (bruxism). These excessive habits can tire the jaw muscles and lead to the associated pain and discomfort in the head and neck. The Dentists at Orenco Station can evaluate and treat you for TMJ disorder. Many patients have been able to eliminate and even reverse their TMJ disorder with non-invasive oral appliance therapy. You can make an appointment with Drs. Brandon and Malinda Kearbey for immediate TMJ symptom relief with a custom oral appliance today. Drs. Brandon and Malinda Kearbey are highly qualified general and restorative dentists. The Dentists at Orenco Station proudly serve families throughout Hillsboro, OR, Forest Grove, Beaverton, Cornelius, Rock Creek, and the surrounding areas. Comments Off on Could Your Headache and Neck Pain Be Caused By a TMJ Disorder? Have you ever discovered that your gums we’re sore or bleeding after brushing your teeth or eating? You may think that it resulted from brushing too hard or getting food stuck between your teeth, but it could be a sign of advanced gum disease. If left untreated, the gum disease Gingivitis can advance into full blown Periodontitis. Periodontitis is the leading cause of tooth loss in adults. 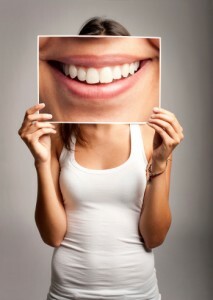 Don’t let gum disease rob you of your healthy smile. The easiest way to stop gum disease in its tracks is to visit a dentist for a check-up and cleaning. If caught early enough, gum disease treatment can actually be reversed. Make an appointment with Drs. Brandon and Malinda Kearbey at Orenco Station Dental today. They want to help you save your healthy teeth. The Dentists at Orenco Station proudly serve families throughout Hillsboro, OR, Forest Grove, Beaverton, Cornelius, Rock Creek and surrounding areas. 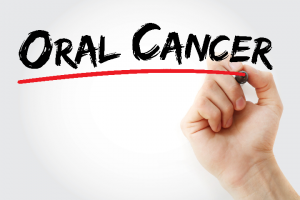 Remember that gum disease is serious but treatable. No matter how well we take care of our teeth at home, there is no substitution for a regular dental check-up and professional cleaning. The dentist can find and remove plaque and tarter that you just can’t see at home. A small investment of time for a regular dental check up can save you the time and money needed for restorative dental procedures to save your teeth from advanced gum disease. Don’t delay; make an appointment with Drs. Brandon and Malinda Kearbey at Orenco Station Dental. The Dentists at Orenco Station restore smiles daily throughout Hillsboro, OR, Forest Grove, Beaverton, Cornelius, Rock Creek and nearby communities. A common question for any dentist is: How often should I come in for checkups and cleanings? The answer might surprise you. While you only need to see your primary care doctor once a year, it’s a good idea to see your dentist twice a year. Why so often? Because common oral health issues like tooth decay and gum disease can develop quickly and easily. And it doesn’t matter how old the patient is—children are just as susceptible to these conditions as adults. That’s why Dr. Brandon Kearbey and Dr. Malinda Kearbey are proud to put family dental care at the center of what they do. With a checkup and cleaning twice a year, our friendly, experienced Hillsboro team will help you and your little ones watch for signs of decay, gum disease, TMJ dysfunction, and even oral cancer. We can also remove bacteria, plaque, and tartar above and below the gum line with a professional cleaning. What’s more, our helpful Hillsboro dental team can also talk to you about taking care of your smile at home. Regular brushing and flossing are important; they can do a lot to protect your teeth from gum disease and tooth decay in between visits, though even the best homecare routine isn’t a substitute for a professional cleaning. And what if we find something during your visit with us? Dr. Brandon Kearbey and Dr. Malinda Kearbey are happy to put together a customized plan to help you. 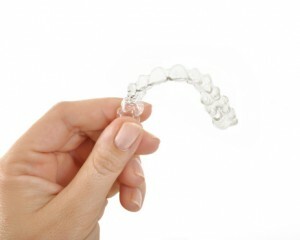 We offer a great range of today’s best general, cosmetic, and restorative services. Do you need to schedule your first appointment for yourself or your child? Call The Dentists at Orenco Station today for an appointment. Dr. Brandon Kearbey and Dr. Malinda Kearbey serve families from Forest Grove, Beaverton, Cornelius, and Rock Creek. On Thursday, Halloween will come and go, signaling the start of the holiday season. From now until the stroke of midnight on December 31, 2013, homes and offices will be awash in holiday treats. At The Dentists at Orenco Station, we want you to enjoy everything the holidays have to offer, but we also want you to enjoy good oral and overall health. To help with that, we recommend that our Hillsboro patients trade conventional sugar for xylitol. Xylitol is a natural sweetener derived from the fibers of plants and can be substituted with sugar for baking at a ratio of 1:1. But the key thing to note here is how differently it responds to the bacteria in the mouth. Sugar responds to bacteria by creating acid, which damages teeth and creates cavities. That’s not the case with xylitol, which creates a neutral environment safe for teeth instead. Because of how different the response is, why not consider making a switch? You can use xylitol for baking, but you can also find candies that have been sweetened with it. To find candies sweetened with xylitol, explore sites like Dr. John’s Candies and Ice Chips. You can also find xylitol products at your nearest health food store. Do you have questions for Dr. Brandon Kearbey and Dr. Malinda Kearbey? Call us today to ask, or to schedule your next appointment. Our office is located in Hillsboro and serves patients from Forest Grove, Beaverton, Cornelius, and Rock Creek. 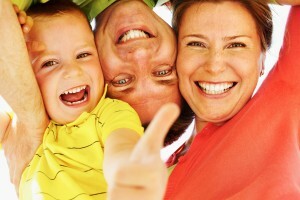 When you talk about family dentistry, you’re talking about two things. On the one hand, you’re talking about a group of services that includes checkups, cleanings, and more. But you’re also talking about more than that. Dentists like Dr. Brandon and Malinda Kearbey are concerned about meeting the needs of busy families. With everything that you have to worry about, finding a dental office that can help your whole family shouldn’t be one of them. Every family dental visit at our Hillsboro dental office includes a comprehensive oral exam. We’ll take an X-ray of your teeth, check for signs of gum disease or tooth decay, and even perform an oral cancer screening. Following your exam, a professional cleaning will help us remove tartar from your gum line, and eliminate plaque and bacteria. If we find anything during your or your child’s appointment that needs to be treated, Dr. Kearbey will propose a custom-made treatment plan. We can also answer any questions you might have about brushing and flossing at home. Regular visits for your family are important, but caring for your teeth in between visits is just as important. 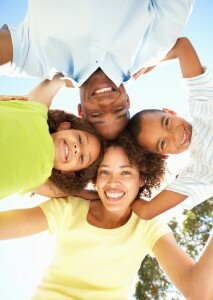 We would be happy to offer you and your children homecare tips while you’re with us. Are you ready to schedule a checkup for yourself or your little one? Call The Dentists at Orenco Station today for your appointment. Dr. Brandon and Malinda Kearbey are proud to serve patients from Hillsboro, Forrest Grove, Beaverton, Cornelius, and Rock Creek. Comments Off on What Is Family Dentistry?